Thank you Canada! 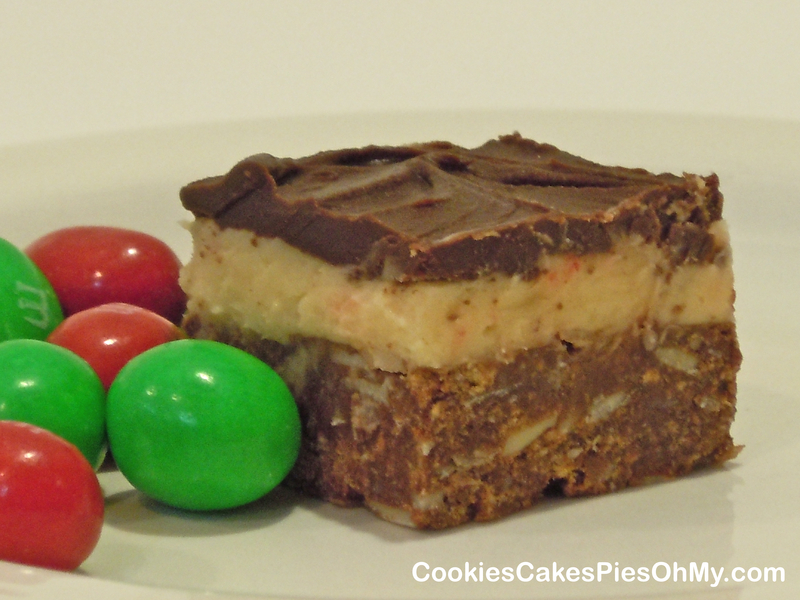 I love Nanaimo Bars, the original flavor has a vanilla buttercream layer but other flavors are delicious too. You can make many different flavor combinations by changing the buttercream or second layer. Why not try peanut butter, mocha, maple, chocolate, raspberry, strawberry, cherry almond. The list is endless, just add a little of something wonderful to the buttercream before spreading it over the bottom chocolate crumb layer. For Christmas, how about eggnog or finely crushed candy cane. For this post I made the original recipe and mixed 2 Tbl finely crushed candy cane into the buttercream. Anyway you make them, they are simply wonderful! Melt together butter, sugar, and cocoa in double boiler. Add some of the cocoa mixture to the beaten egg in a bowl, to warm it then add the egg to the cocoa mixture and stir to cook and thicken. Remove from heat. Stir in graham cracker crumbs, almonds, and coconut. Press firmly into an ungreased 8 X 8 pan. Cream butter, cream, custard powder, and powdered sugar with electric mixer. Beat until light and fluffy. Spread over bottom layer.